To help you get your message across to your customers at just the right time with your listing ads, we’ve introduced the DFW Date Selector. The Date Selector functionality allows you to improve your feeds in a timely fashion. From now on, you’ll be able to apply date-based rules in any field of your feed. We’ve all heard the phrase “Timing is everything”. 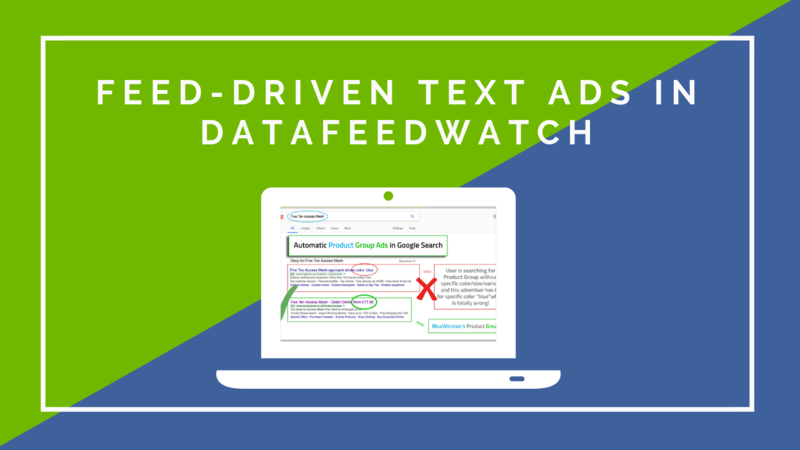 While it might be an exaggeration to a certain extent, there’s definitely a lot of truth to it when it comes to the ever-changing world of digital advertising. After all, there is a reason to why all those Christmas decorations are not on store shelves in the middle of April :). Where to find the Date Selector? 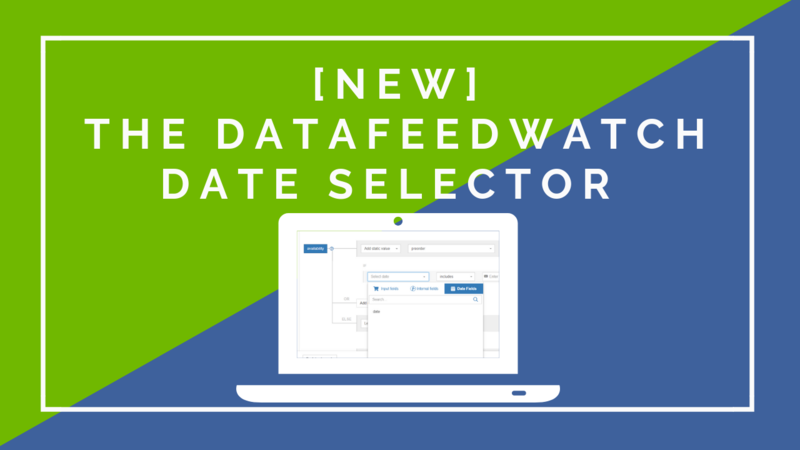 Date Selector is available to use in any IF statements you create for your feed rules. 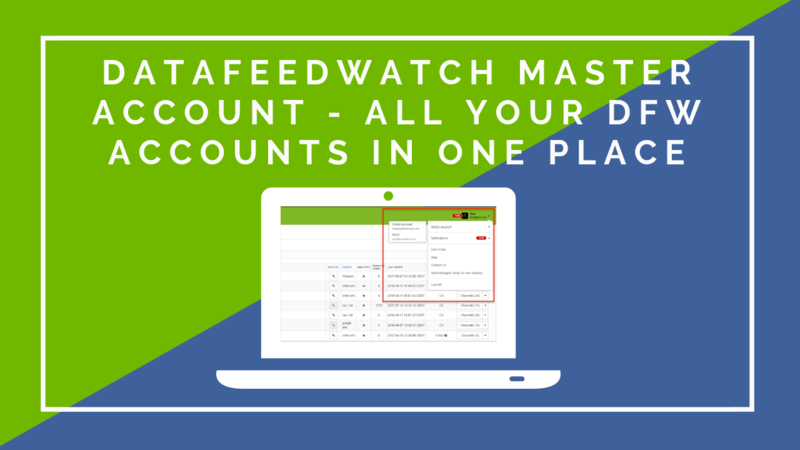 Whether it’s Internal Fields, the mapping section of your channel or in the Exclusion tab - you can use it to improve the organisation of your feed and most importantly...your timing! Speaking of timing - there is no time like the present, so let’s get to it, and check how you can start using the Date Selector - today. There’s a multitude of possibilities to use the new functionality to improve your promotion set up and much more. Perhaps this example will mostly speak to the fashion retailers, although if you find yourself featuring special-occasion items in your store, for example: christmas-themed or Mother’s day gifts, etc. then you can definitely apply it across your feeds as well. Let’s say your store offers a selection of apparel that’s suitable for different seasons. And while your amazing line of swimming suits would be an excellent material to advertise in the summer, it could become a very unprofitable business in the winter season. 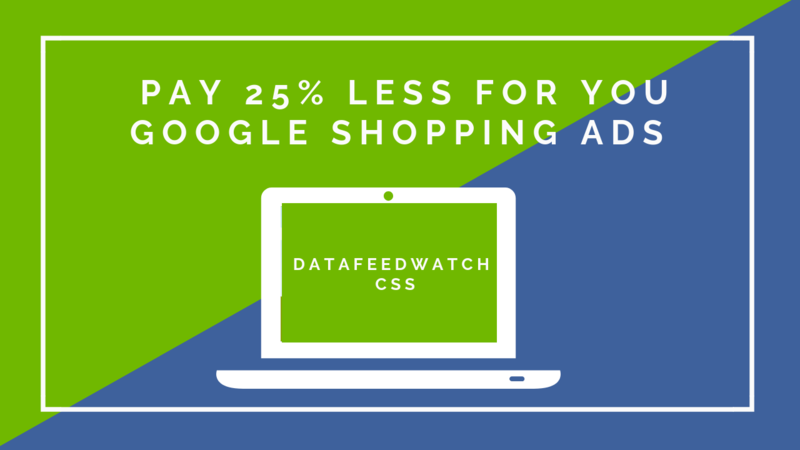 Solution: With Date Selector you can easily exclude seasonal items from your feed outside of their respective relevance period & put your advertising budget into more profitable products. With such rule, your summer collection would only kick in with the beginning of May. Planning on running a sale in 2 weeks? Or maybe the Black Friday is coming up and you want to have everything in place before the buying spree starts? Set up the promotional price in advance, so there are no delays once the discounts become active. In the above example the field ‘special price’ contains the discounted prices that will be effective during the Black Friday Weekend. Every now and then you want to add new products to your eCommerce store. Perhaps you’d like a chance to hype up the upcoming collection before its official release, to entice customers to buy eagerly upon launch. Solution: In such case, you could include the new products within your feed. To start with - available for pre-order, and schedule the availability to switch to ‘in stock’ on the day of the release. An extra perk of this solution is that you won’t have to wait for the channel to approve your new products once they are officially launched, as they’ve already completed the check when you first submitted them. How to use the custom label? To make the most out of your promotions you might consider setting up custom labels (read more about why custom labels are important here), for the products you’re planning to include in the sale, or those with the biggest discounts. That will enable you to identify the hot products in your Shopping Campaign and adjust bidding appropriately - for example - increase bids by 10% for the products with the hottest deals, to make sure you get them right in front of your customers. How the Date Selector can help? Since Black Friday doesn’t last forever - the promotions and the custom label would have their own expiration date. 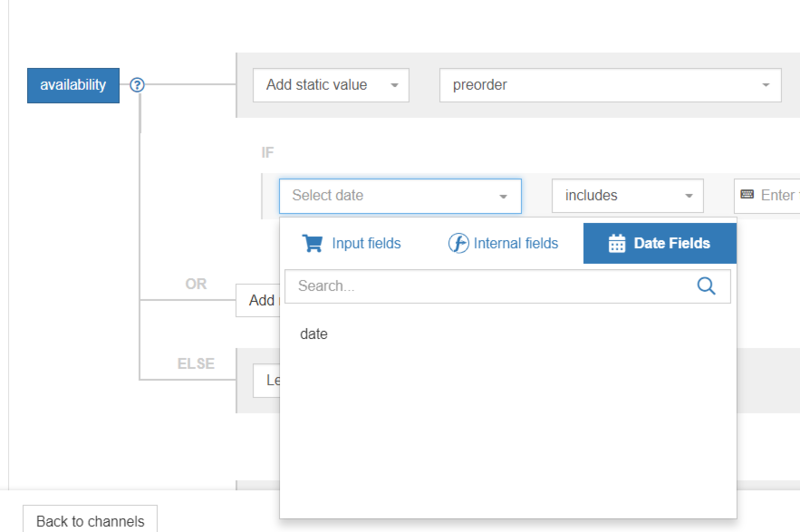 Using Date Selector you can set up the label for the relevant products for the relevant period of time. The Date Selector feature comes with many advantages for the feed marketers, so don't hold off on implementing it right away. 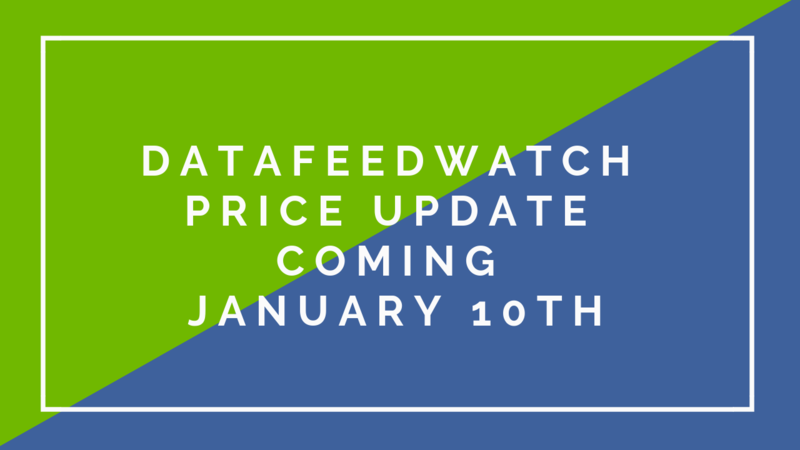 If there are date based rules that you would like to apply to your feed, and you don't know where to start just write us an email at support@datafeedwatch.com and we will assist you.